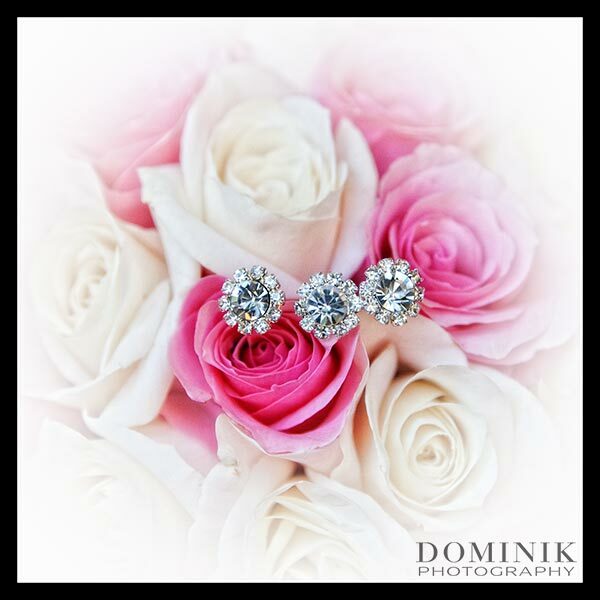 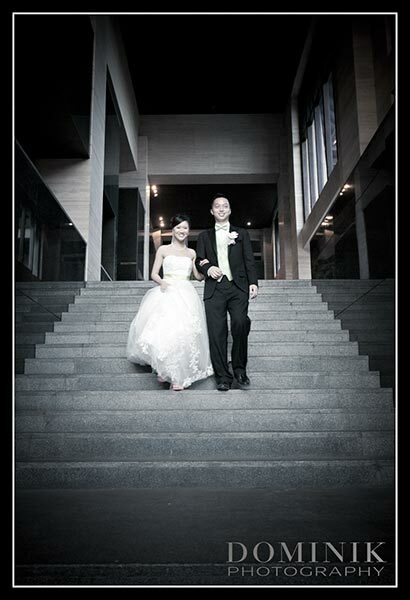 Having been charged with the task of being the wedding photographer of this fabulous event was a special honour for me. 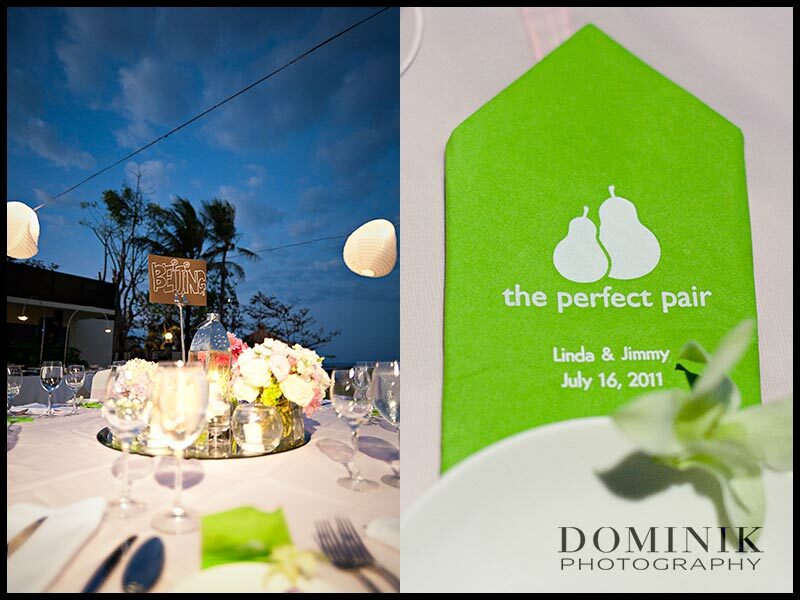 Linda, Jimmy and I met 2 days before the wedding and Linda made it perfectly clear that she wanted nothing less than perfection. 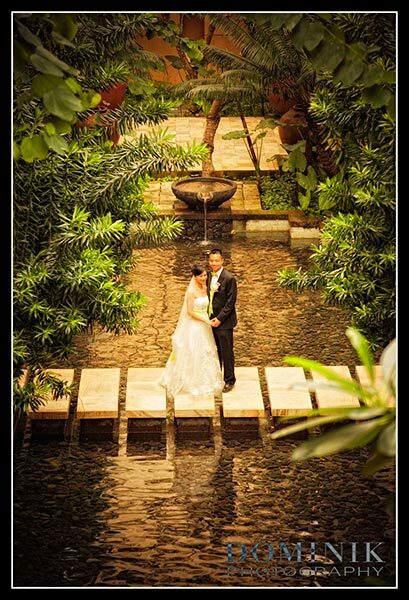 And she reiterated her desire for the photographs to be candid, situational wedding photo journalism laced with some portraits of the couple and the bridal party. 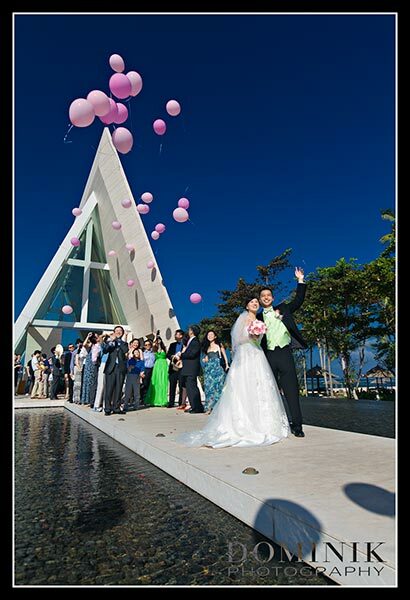 Their wedding was a truly international event with guests flying to Bali from all corners of the world. 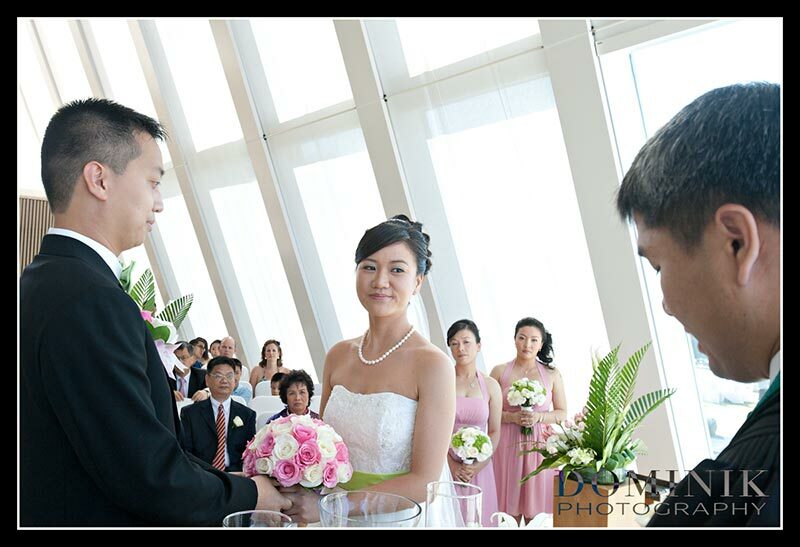 The couple themselves came from the US, whereas many of their guests flew in from China, Hongkong, Taiwan, Australia and other parts of Asia. 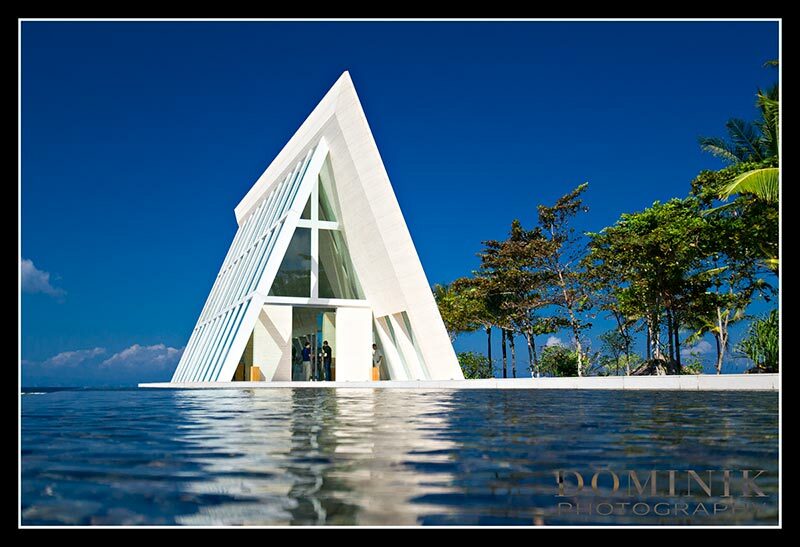 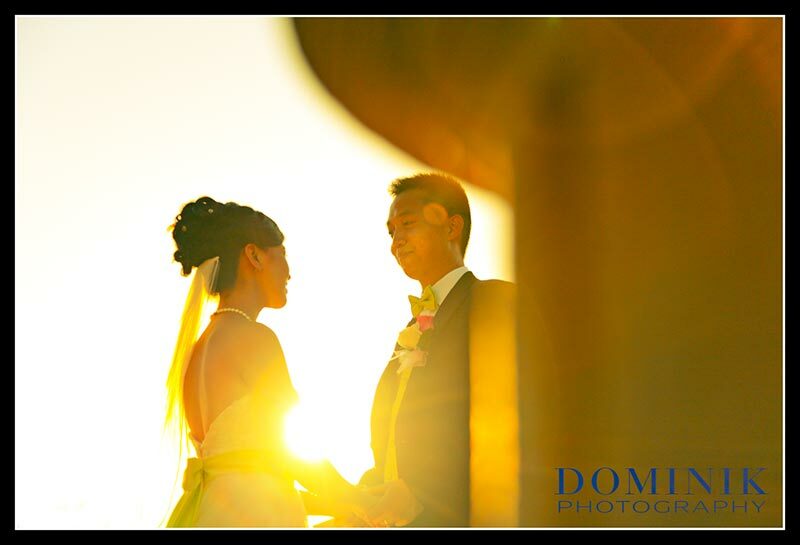 Their wedding took place in one of Bali’s wedding chapels in Nusa Dua. 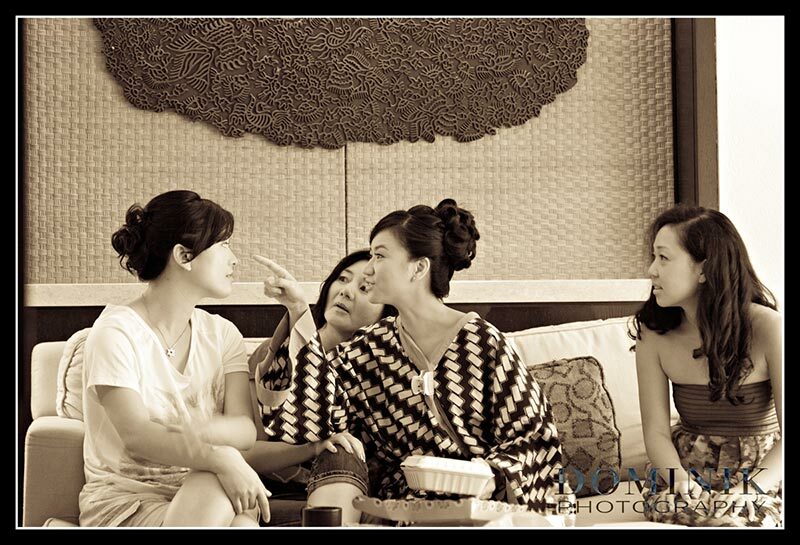 Linda, her bride’s maids and some of her closest family and friends were getting ready in a dedicated preparation room, whereas the gentlemen had one of the hotel’s nice suite rooms all for themselves. 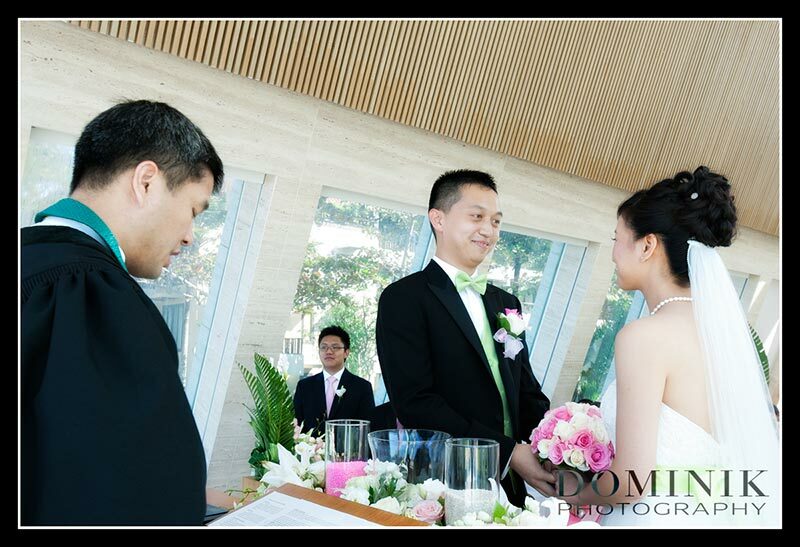 The nuptials were officiated by a minister who followed them from the USA and he did a marvelous job by setting a very emotional mood. 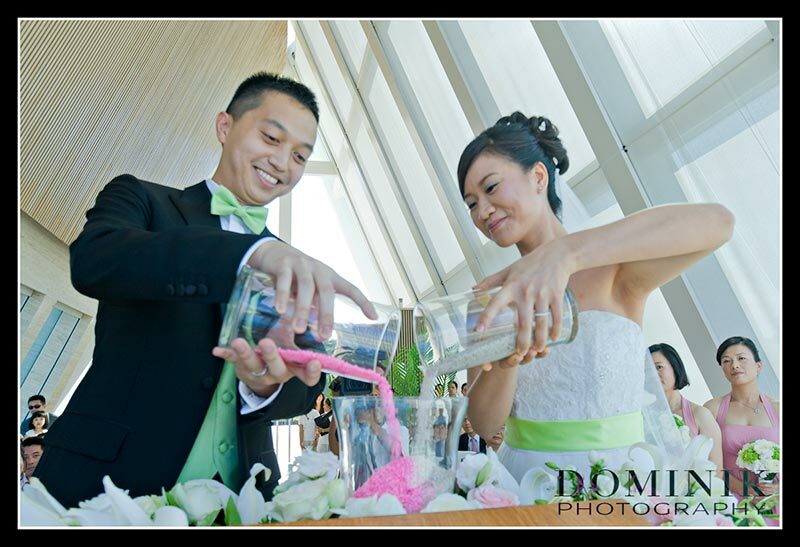 Part of the ceremony was a sand pouring symbolizing the unity of Jimmy & Linda. 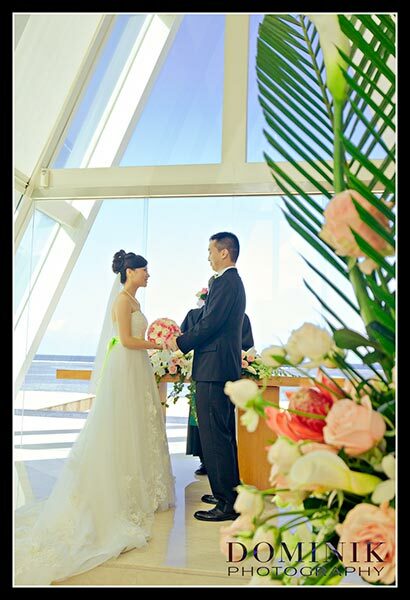 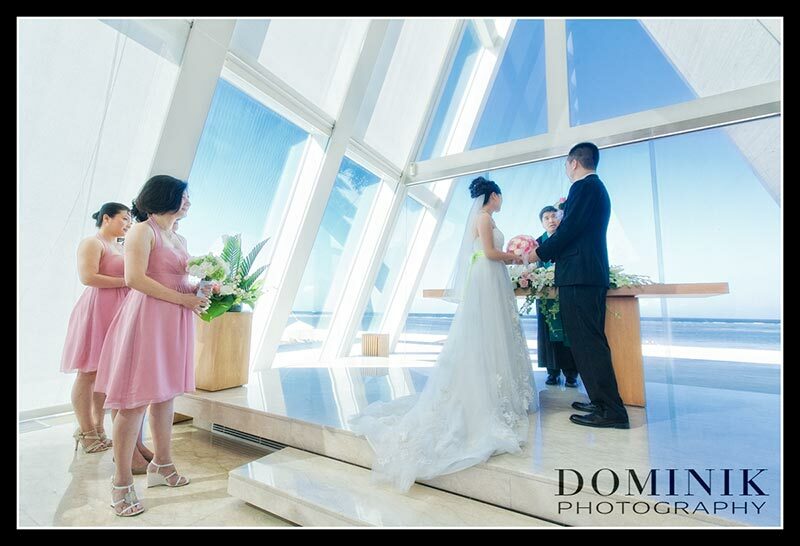 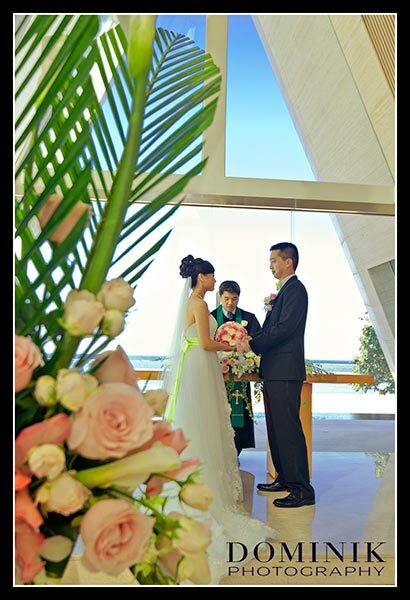 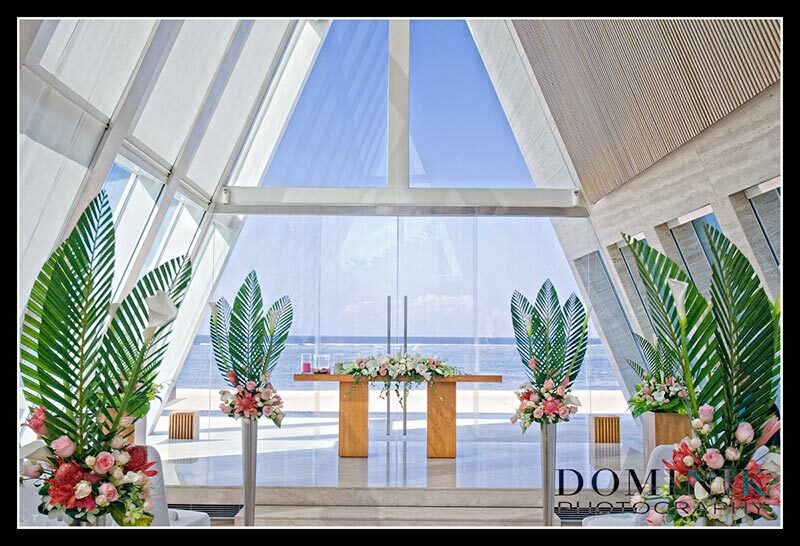 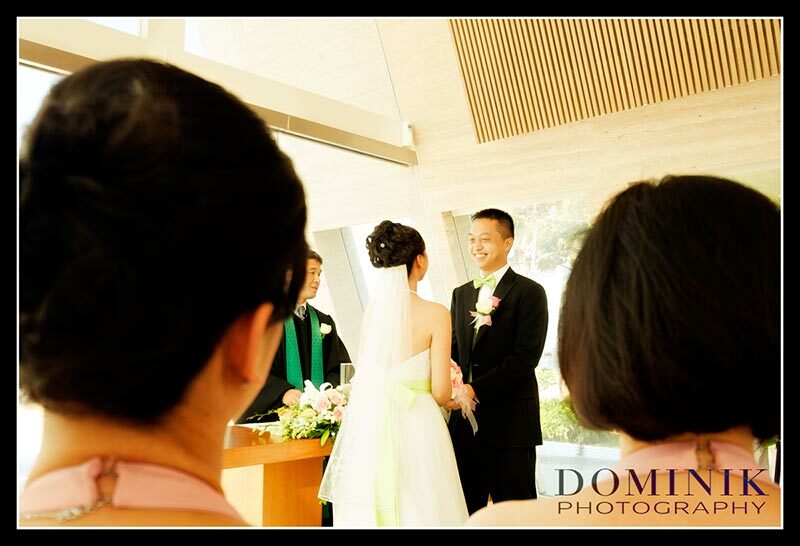 The mid-afternoon sun shining through the glass chapel provided for some soft and warm light and the couple enjoyed a magnificent view onto the Indian Ocean while standing on the altar. 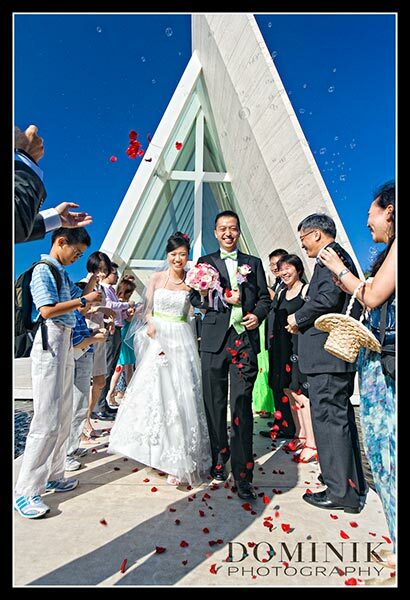 When the couple left the chapel they were showered with red flower petals and soon after they did a spectacular balloon release in front of the chapel. 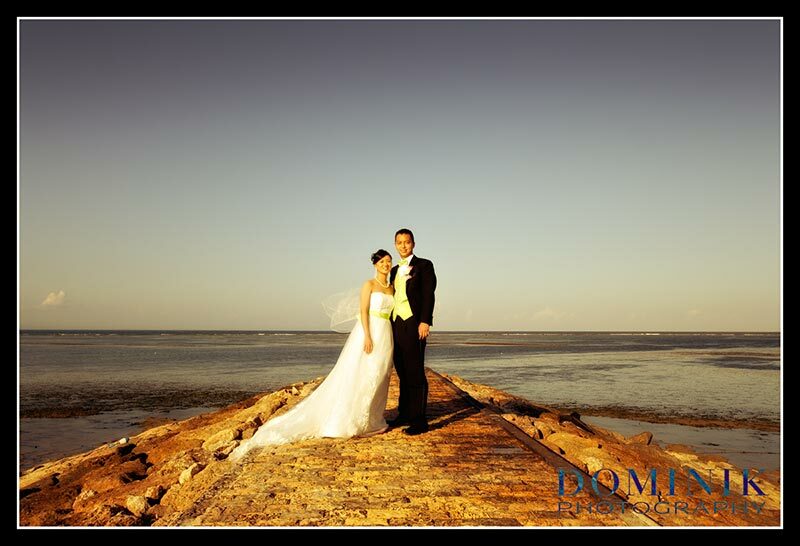 A special part of the day was the extensive photo session which I photographed on the beach and at the hotel’s compound. 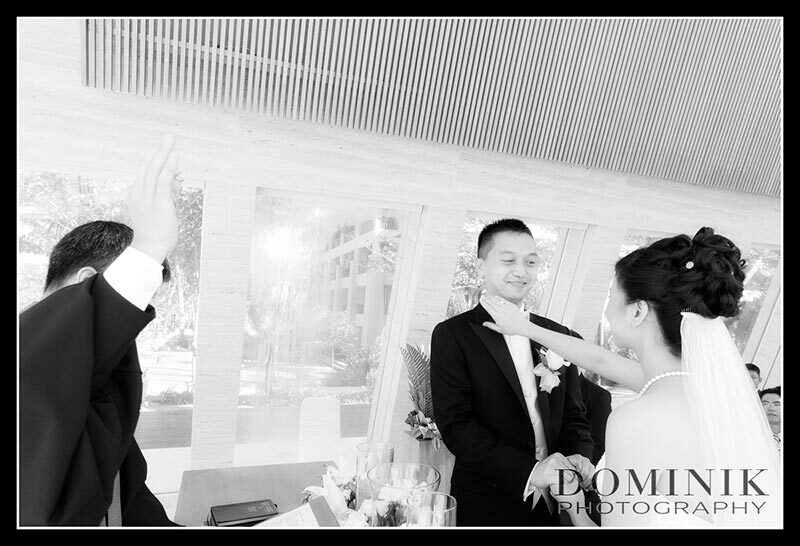 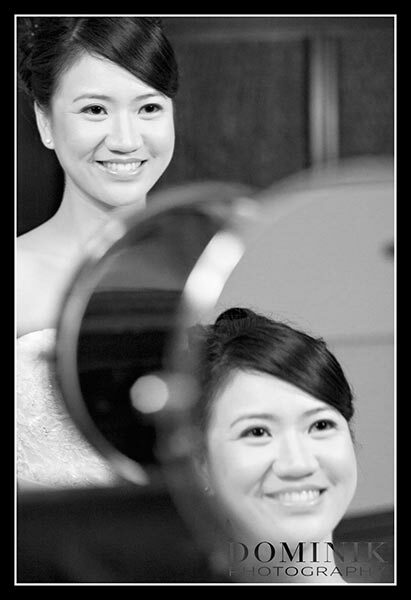 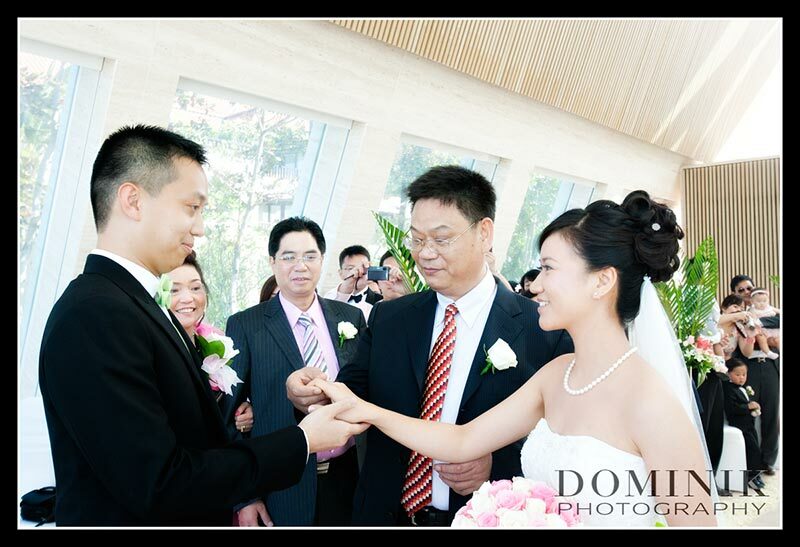 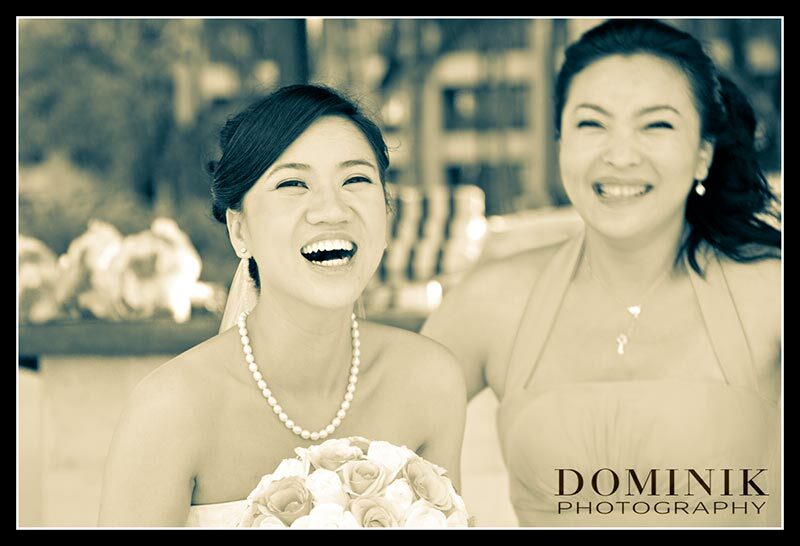 The warmth and deep emotional bond between the two is most apparent on many of the photographs. 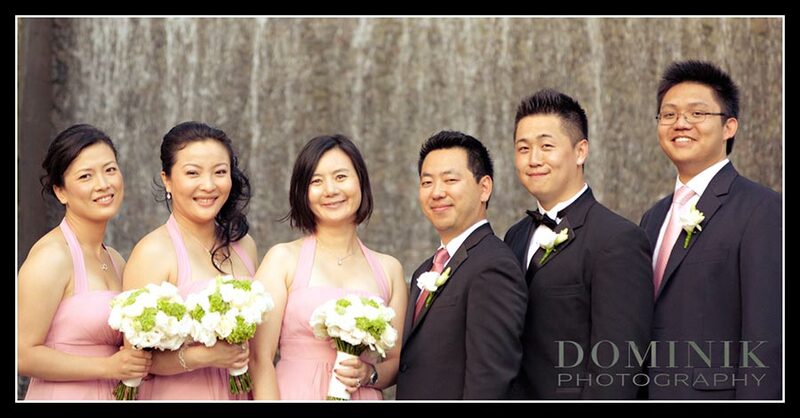 The entire bridal party came with us on the photo tour and we also took many photographs of the couple together with the bridal party. 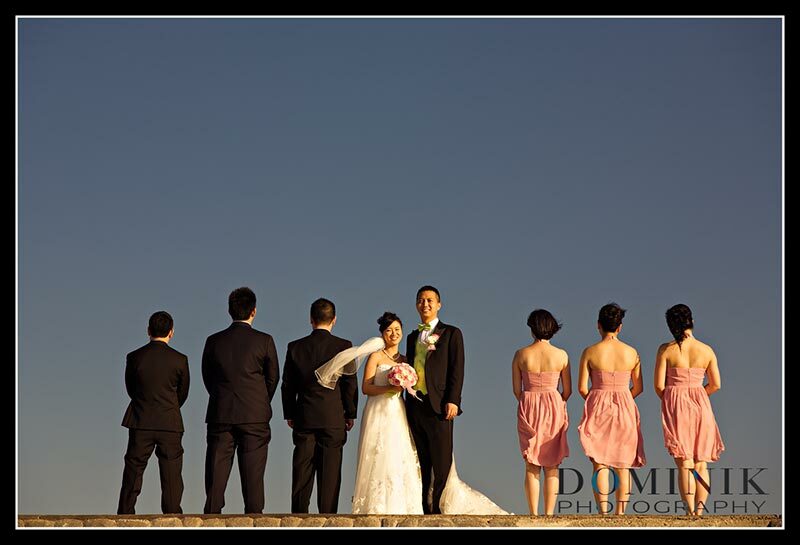 Around sunset the newlyweds and the bridal party retired to freshen up for the evening. 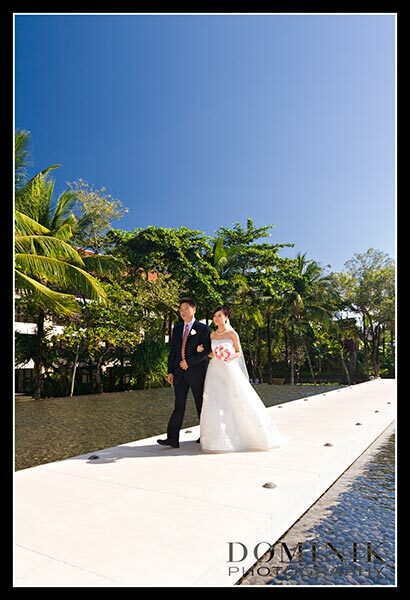 Meanwhile guests started to gather at the reception venue which was set up only a few meters from the beach. 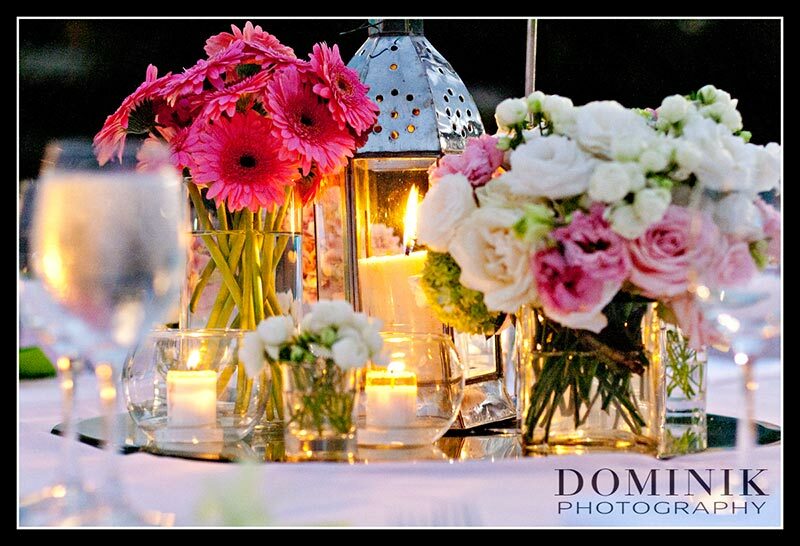 The table setup was very elegant, reflecting the couple’s style. 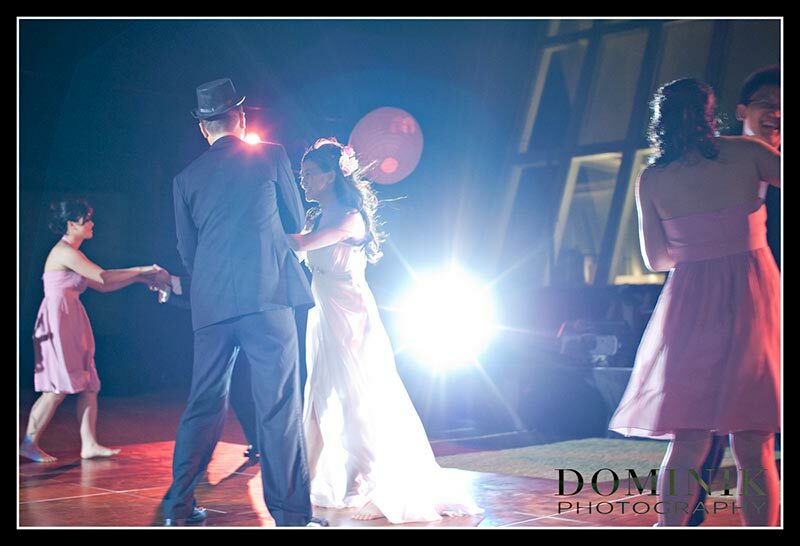 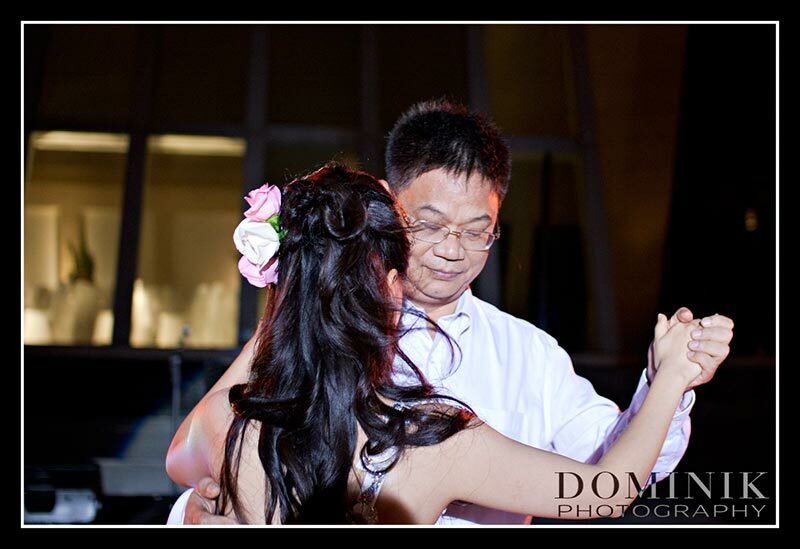 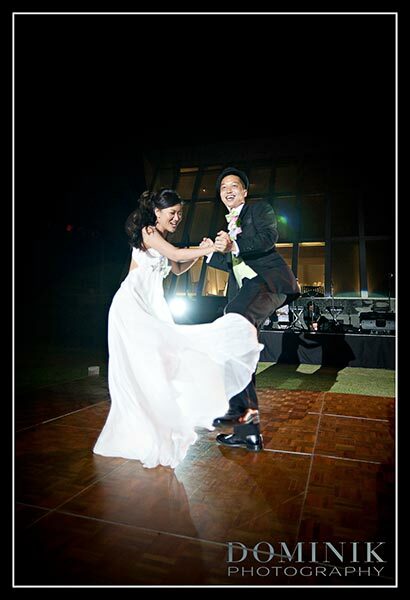 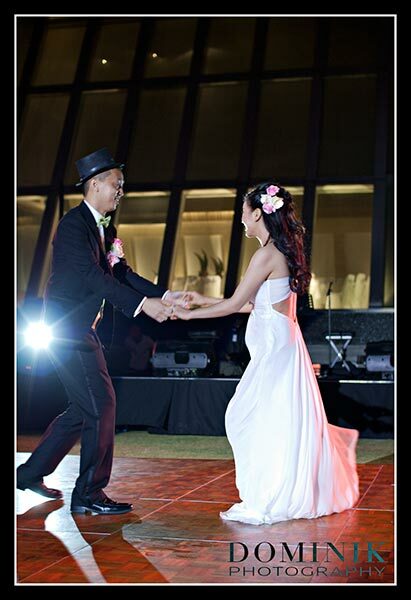 The couple did 2 very different first dance performances to the utter delight of the guest. 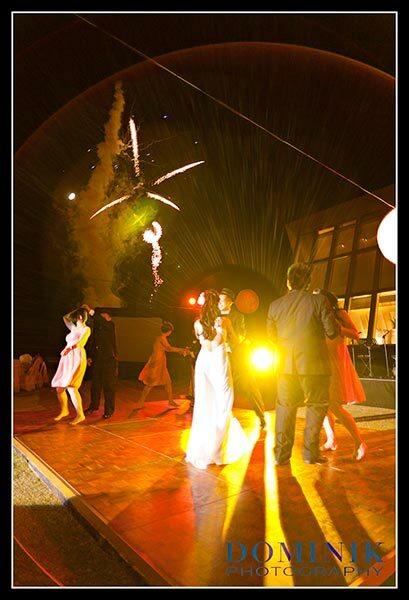 Towards the end of the first dance the most magnificent fireworks I have ever seen on a wedding in Bali were set off and everyone stared towards the sky in awe. 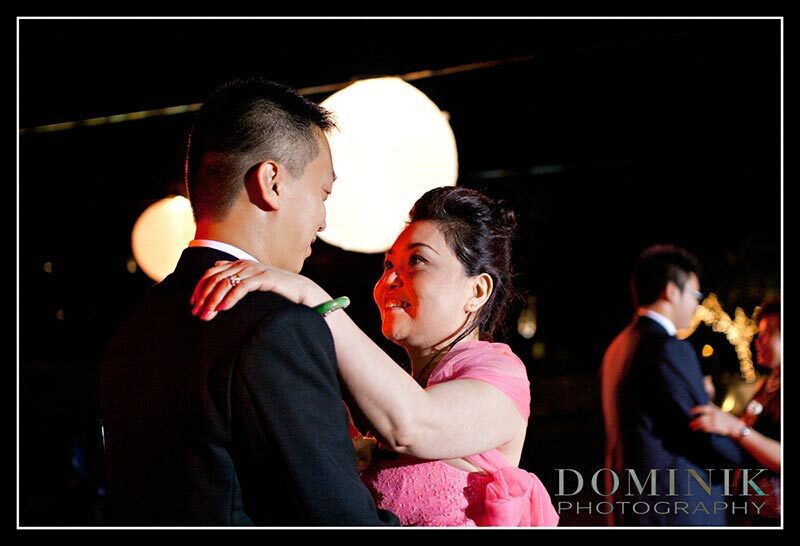 This was followed by one of the emotional highlights of the evening when Linda and Jimmy were dancing with their parents. 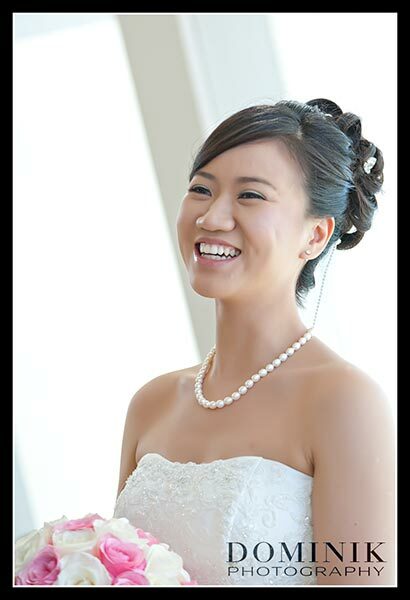 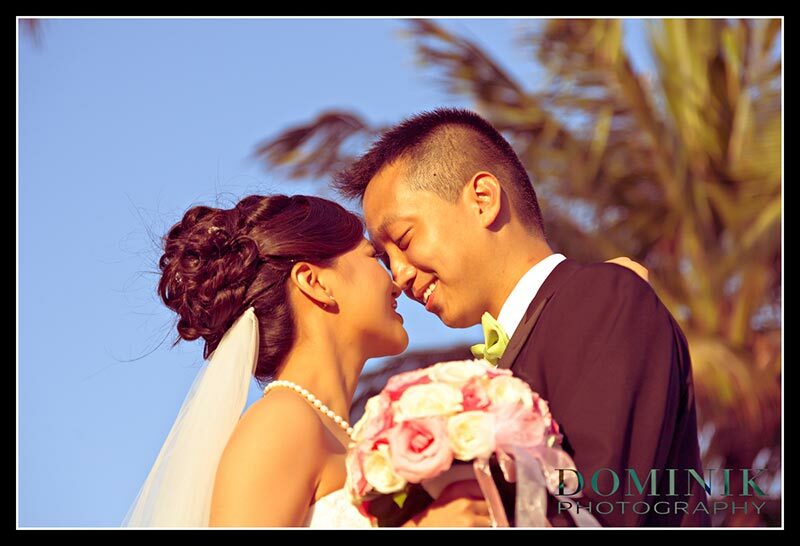 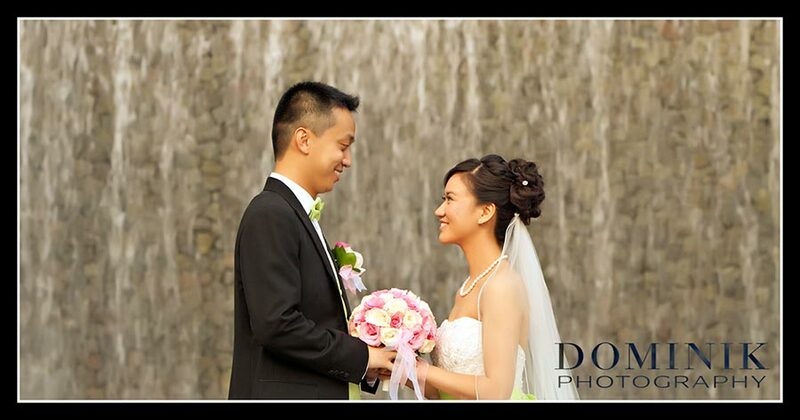 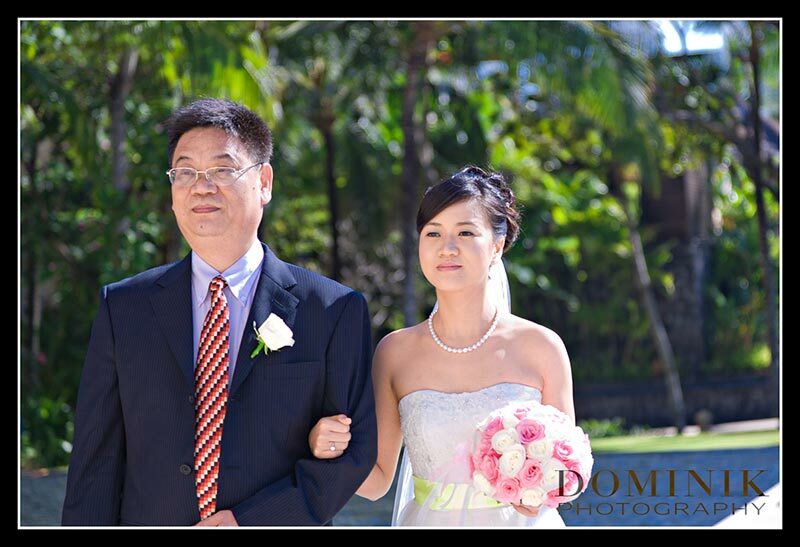 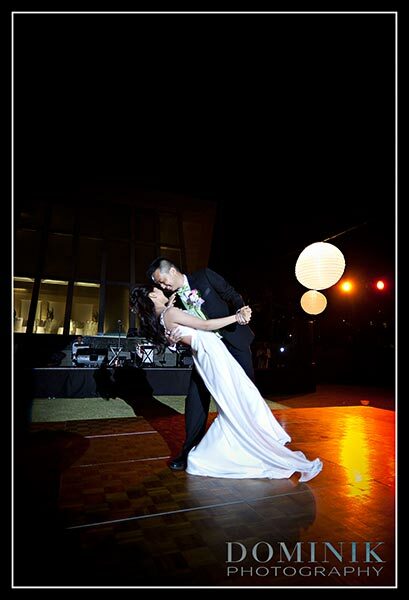 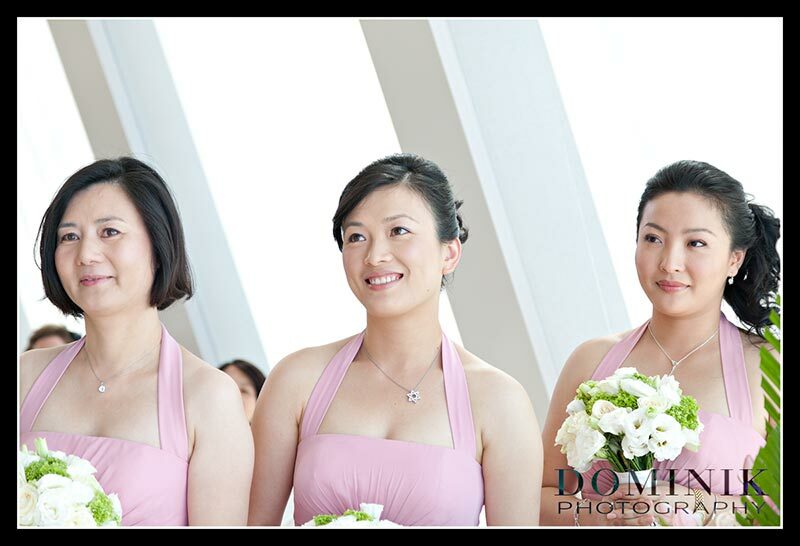 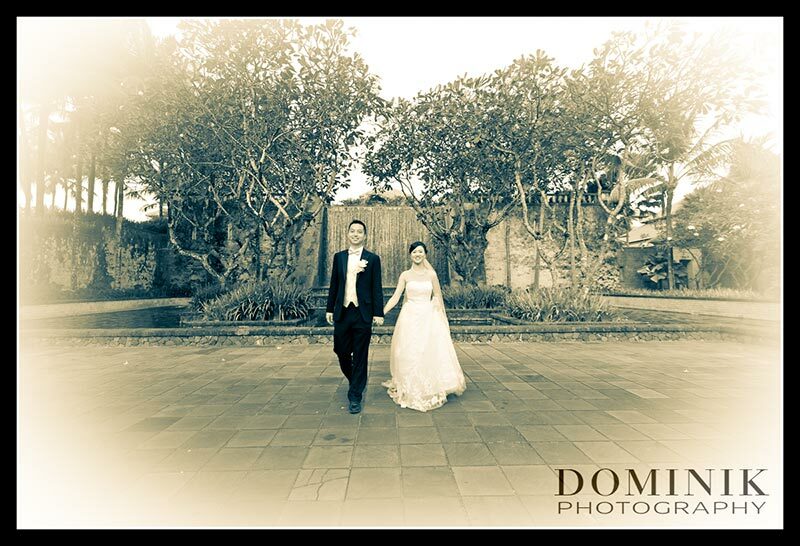 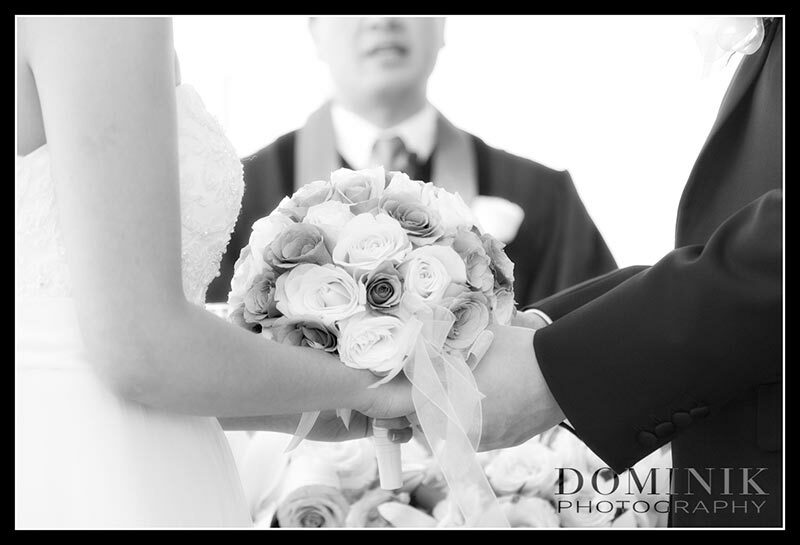 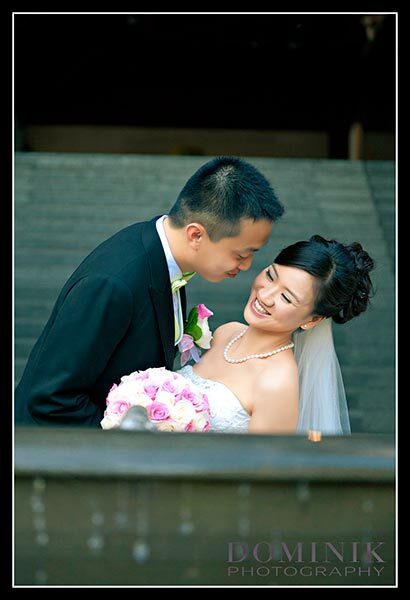 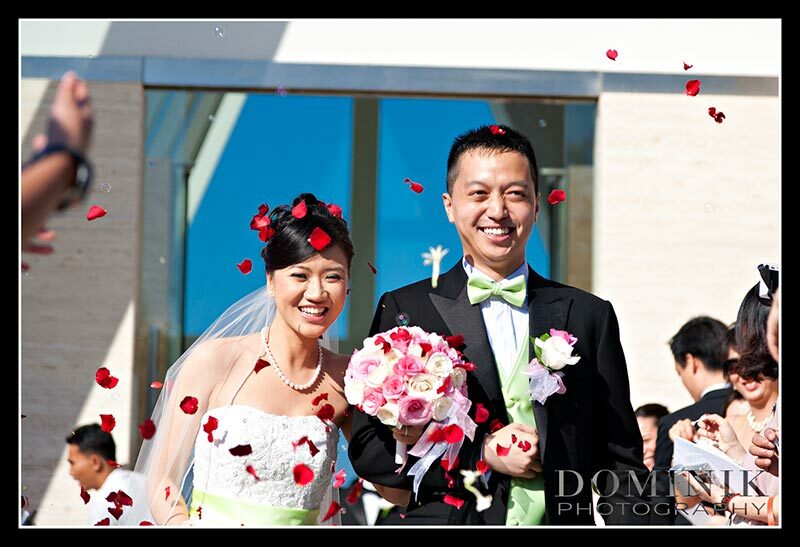 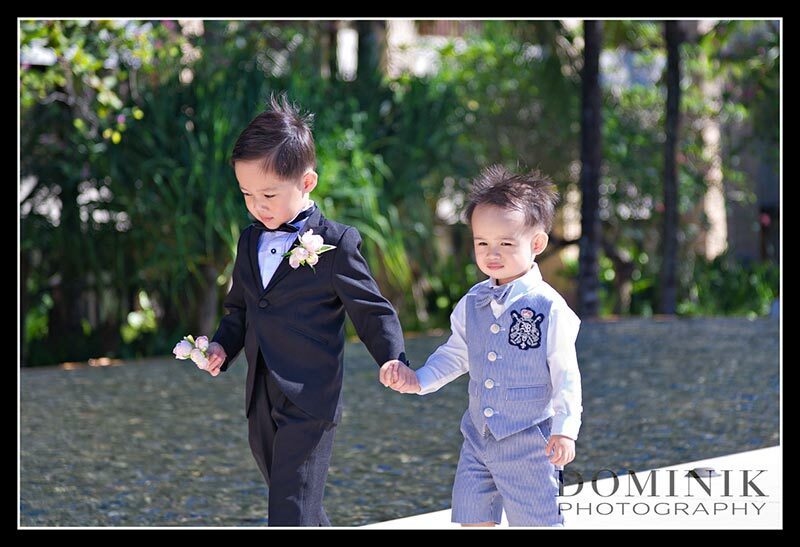 Linda, Jimmy thank you so much for letting me photograph your fabulous wedding in Bali.